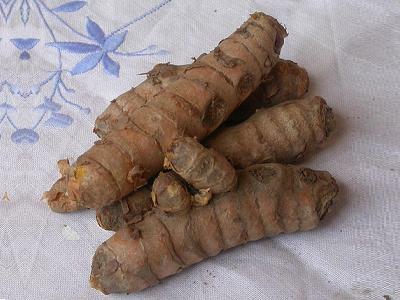 Synonyms: Amomum curcuma Jacq. 1804. Curcuma domestica Valeton 1918. 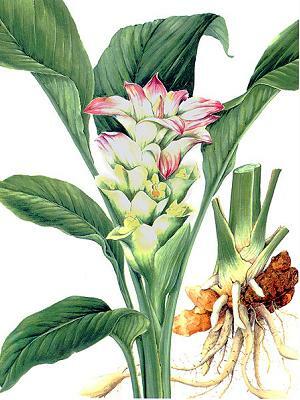 Stissera curcuma Raeusch. Photo by Paul Latham. This member of the Zingiberaceae family was given this name by Carl Linnaeus in 1753. It is found in India (and now in Belize, Bolivia, Caribbean Islands, China, Comoros, Ecuador, Gabon, Honduras, Madagascar, Panama, Peru and probably other places as well). It is growing in a rich soil with quite some water and some sun. The rhizomes can grow to four centimetres in diameter and the plant can reach 150 centimetres in height.